Two blocks in the Western Addition were closed to cars and turned into a neighborhood gathering space Saturday for the city’s first “Play Streets” event. The program is an effort to build on the success of Sunday Streets and provide smaller-scale car-free spaces where people can play and socialize on a more frequent basis. 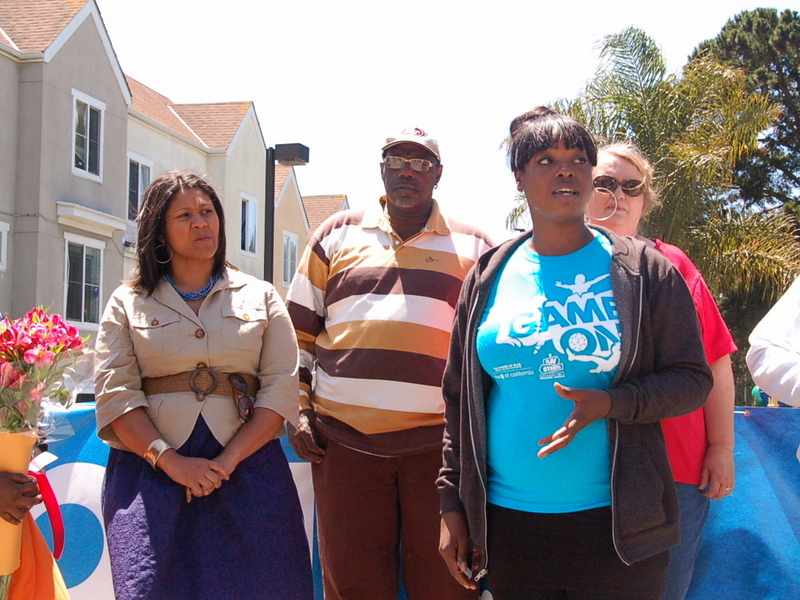 Supervisor London Breed with community activist Meaghan Mitchell (right) and Plaza East residents. D5 Supervisor London Breed, who grew up in the immediate neighborhood, spoke at the event along with organizers from Sunday Streets and agencies that helped coordinate the program. In addition to providing a space that’s safe from car traffic, organizers said the aim was to invite residents to participate in community life with a space that feels safer from crime. 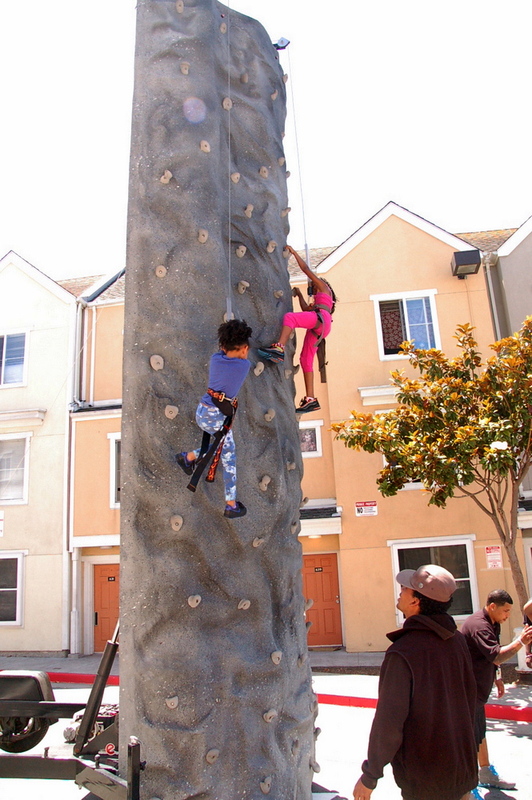 Play Streets, launched in ten cities with the help of Partnership for a Healthier America, will take place in three other neighborhoods this year — the Bayview, Tenderloin, and Excelsior — which were chosen because they suffer from high rates of childhood obesity and lack safe places for kids to play. 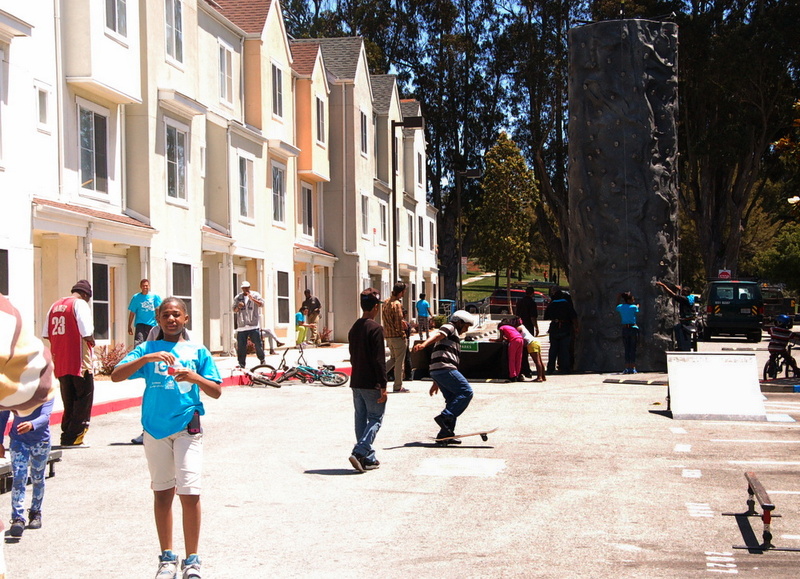 Advocates like Adam Greenfield, who helped organize a regular event called Inner Sunset Sundays in his neighborhood, lobbied the city to create a Play Streets-style program so residents could easily hold smaller, community-based car-free street events. Greenfield said he sought to break down barriers like the arduous bureaucratic process and high city fees that make such events difficult to organize. 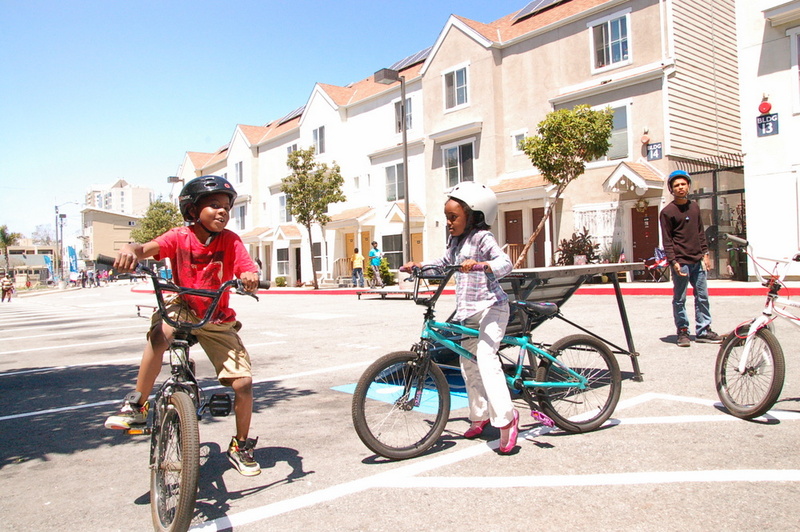 While Greenfield said he’s glad to see the initial events happen in underserved neighborhoods, he ultimately hopes to see Play Streets serve as a platform to facilitate neighborhood-driven organizing, with less involvement required by the city. This is better than Sunday Streets. Sunday Streets is a crowded commercial affair with lots of vendors and lots of people from other neighborhoods and other cities. This on the other hand seems like it could actually fill the purpose of reclaiming the streets for a moment for the people from the neighborhood to live in them: walk, play, socialize, hang out.